This bulbous blue bus could soon become a regular fixture on China’s roads. One hundred of the self-driving buses have so far trundled off a production facility in Xiamen, in southeast China’s Fujian province, and production is set to ramp up. The “Apolong” was developed by China’s second largest bus manufacturer, King Long, in partnership with Baidu, the Chinese internet company. The buses have no steering wheel, pedals or driver, but use Baidu’s Apollo 3.0 autonomous driving open platform technology. “2018 marks the first year of commercialization for autonomous driving. From the volume production of Apolong, we can truly see that autonomous driving is making great strides – taking the industry from zero to one,” Baidu’s Chairman and CEO Robin Li Baidu said at Create 2018, Baidu’s own AI developer conference, in Beijing. Baidu hopes that its technology will power much more than buses. 116 companies have signed up to the open-source platform, including Jaguar Land Rover and BYD, China’s leading electric car manufacturer. BYD will use it in the production of its L3 autonomous vehicles. The technology is already being used to power this autonomous delivery robot. The company is eyeing overseas markets, saying that Japan is its first target. Baidu and King Long have teamed up with SB Drive, the autonomous driving subsidiary of Japan’s SoftBank Group, to bring Apolong autonomous mini buses to Japanese cities in early 2019. By 2030, there will be 125 million electric cars on the road worldwide. Currently, China is seeing most growth in electric vehicle adoption. Half of all electric cars sold last year were sold in China. The US saw the second largest number of electric cars sold. Electric and autonomous transport will revolutionize cities. 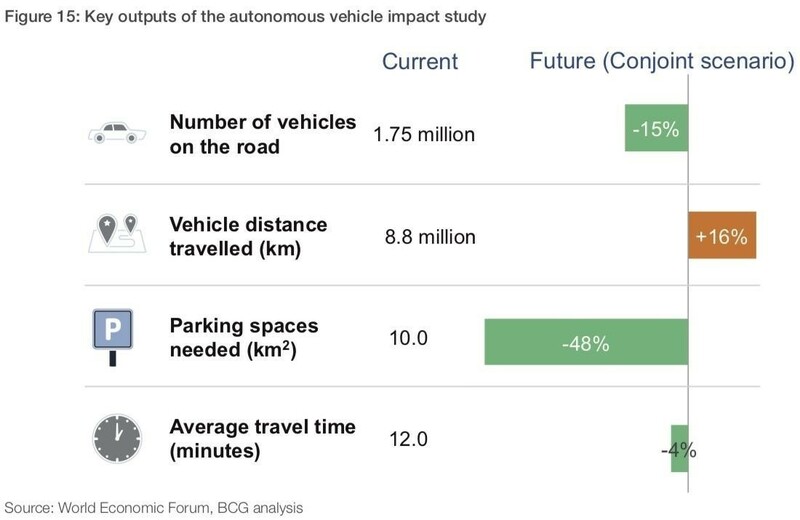 By 2050, about 70% of the world’s population will live, commute and work in urban areas, and autonomous vehicles will likely change how people and goods are transported around cities. 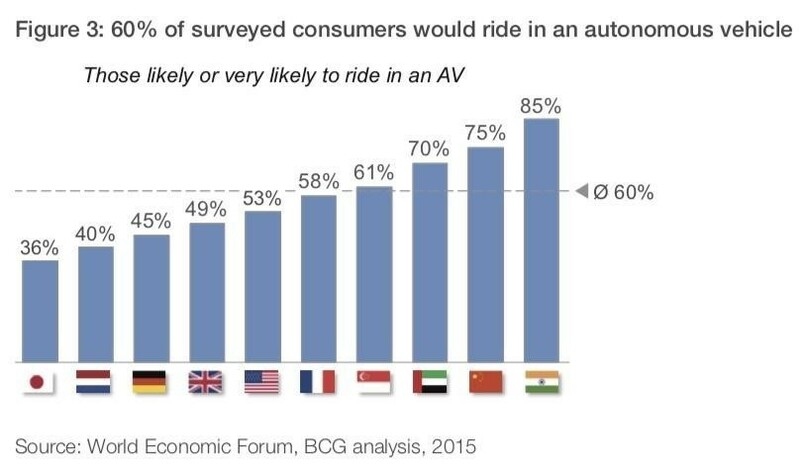 According to a report by the World Economic Forum and the Boston Consulting Group, Reshaping Urban Mobility with Autonomous Vehicles, 60% of respondents to a survey said that they would ride in an autonomous vehicle. City dwellers said they appreciated the new technology because they wouldn’t need to search for somewhere to park anymore. As a result, the need for parking spaces in cities will reduce by almost half and the number of vehicles on the road will fall by 15%. In addition, ride-sharing services are becoming increasingly popular, said the report.